Are you a mystery lover? The Cup of Crime Book Club is specifically for mystery readers. 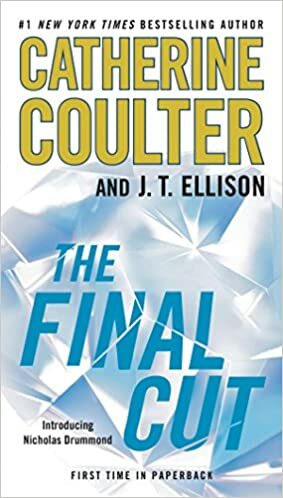 Join us for coffee and discussion of the book, The Final Cut by Catherine Coulter. Ms. Coulter’s books are consistently on the New York Times bestseller list. “Scotland Yard’s new chief inspector Nicholas Drummond is on the first flight to New York when he learns his colleague, Elaine York, the “minder” of the Crown Jewels for the “Jewel of the Lion” exhibit at the Metropolitan Museum of Art, was found murdered. Then the centerpiece of the exhibit, the infamous Koh-i-Noor Diamond, is stolen from the Queen Mother’s crown. Coffee and snacks are provided. Walk-ins welcome!